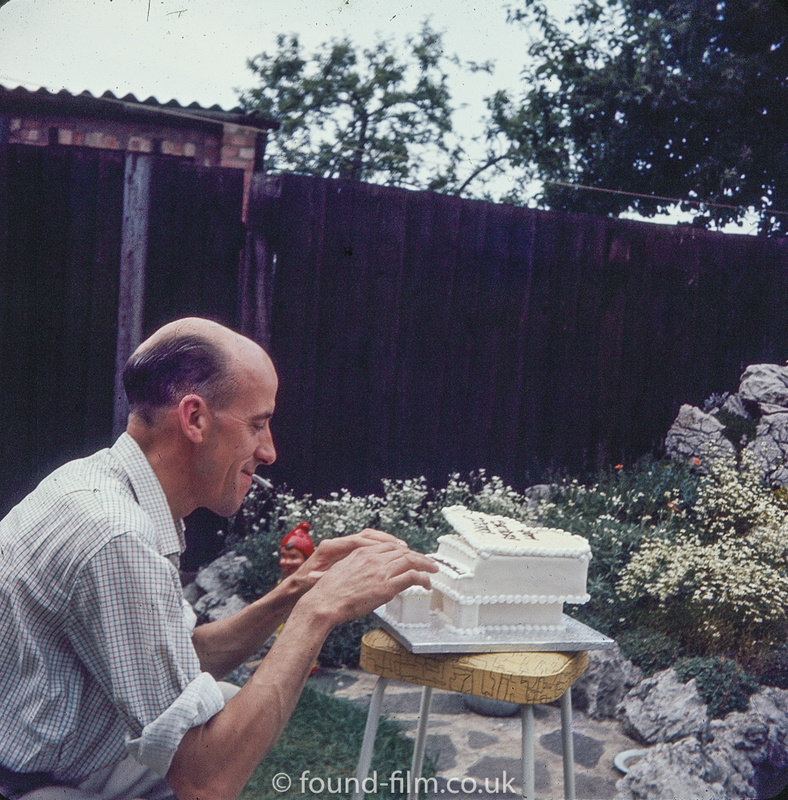 This shows the man from the series of pictures I’ve been posting lately with a birthday (I assume) cake shaped like a piano. In an earlier picture he was seen sitting at a piano, so I would deduce from these two pictures that he is a musician – you would only produce a birthday cake in a piano shape if the piano was a big part of the person’s life, right? Date wise I would guess this is the 1960s based on the other pictures in the series and the fact that it is 127 format film which stopped being popular in the mid to late 1960s when 35mm (and 126) became the popular format.